May was a very expensive month. There were some great new releases, like the Maybelline Color Elixir's, and some fantastic GWP deals on at David Jones and Priceline. I originally went in to buy the "Blackberry Tart" nail polish after seeing it on a blog, but then saw that they had a buy 2 lipsticks and get a nail polish for free. Because I can't resist a BOGOF deal, I ended up getting a light frosted pink and a berry lipstick, along with the blackberry nail polish. 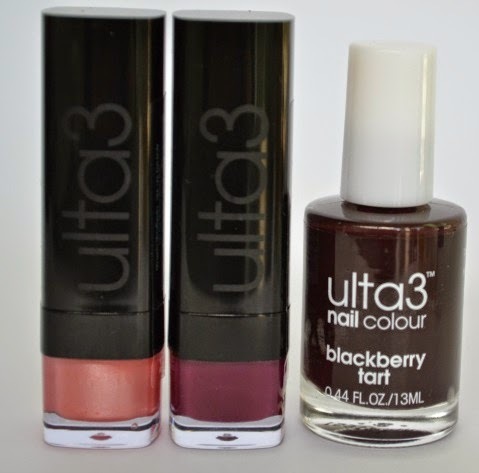 Ulta3 is already so affordable, but with this BOGOF offer, the 3 items were $5.90! 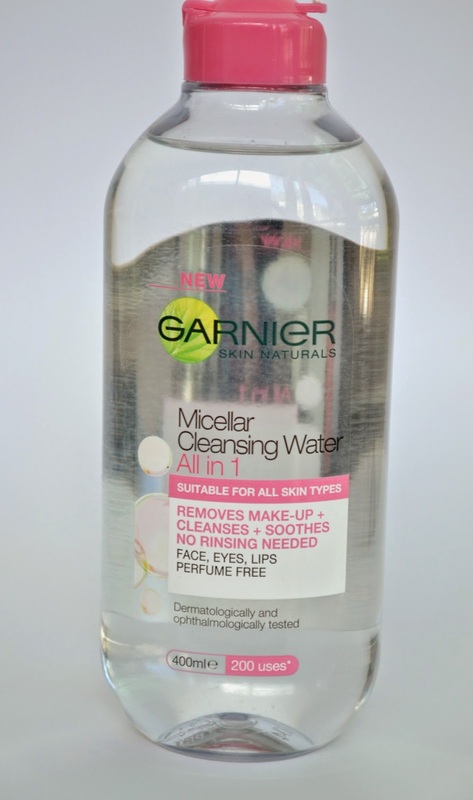 I recently finished my Bioderma and was needing a new micellar water. I saw that Coles had 50% off selected Garnier products and I ended up picking this up. It seems that people either think it's better than Bioderma or doesn't stand up to it (even though it's a lot cheaper). Personally I don't see a lot of difference. I do find that the Bioderma works a bit better, but at the end of the day they both remove make up. Last month Priceline had an Antipodes GWP. 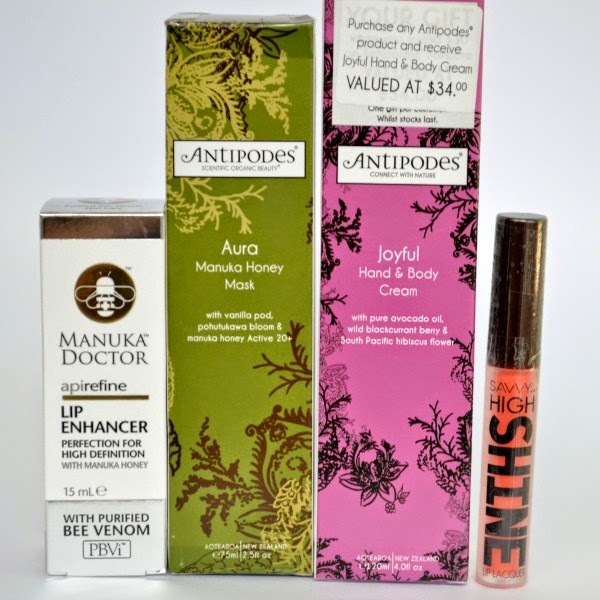 I adore Antipodes products and picked up the Aura Manuka Honey Mask. I've never used it before and can't wait to see the results. With any Antipodes purchase you got the Joyful Hand & Body cream for free. It smells divine!! I'm going to use it as a body moisturiser since I have quite a few hand creams already. I also picked up another of the Savvy by DB High Shine Lip Lacquers, this time in "Bright Lights." It's a gorgeous orange colour. I've previously reviewed some of the other colours here. A new brand to Priceline is Manuka Doctor. They have a few different lines in their range for different skin types/concerns. I ended up picking up the Lip Enhancer. It helps to plump your lips. 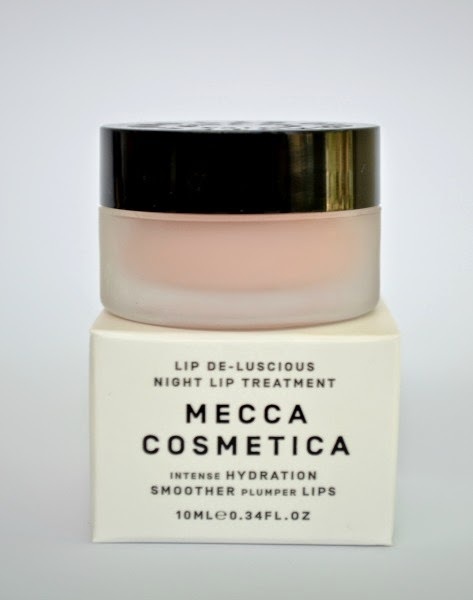 Speaking of lips I also picked up the Mecca Cosmetica Lip De Luscious Night Lip Conditioner. This retails for $32 for 10gm (ouuch!!) 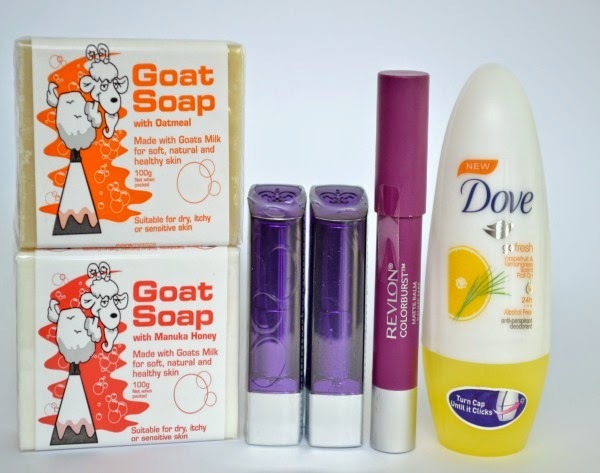 and contains shea butter and vitamin E. There is the Day version available, but that contains SPF25. I bought it because it's supposed to give you hydrated, smoother and plumper lips. I'm loving it (it was in my May favourites here) and will buy another one when I've finished this. While I love this, I won't get the day version because it's in a tub and it's not great to use when you're on the go (ughhh dirty hands and lipbalm isn't nice at all). I'll stick to my tube lipbalms! CW have 50% off their beauty brands, so I picked up 2 Rimmel Moisture Renew Lipsticks in "As You Want Victoria" and "Sloane's Plum." Revlon is also 50% off so I got the Colorburst Matte Balm in "Shameless." Shamless is a gorgeous purple. It's a colour that I'm not sure if I'll use a lot, so I'm glad I picked this up on sale. I also picked up the Goat Soap with Manuka Honey and the Goat Soap with Oatmeal as they had them on special. These are so moisturising and great to use. Another boring beauty item I bought was a Dove deodorant. This is a purchase that I actually backed out of, then caved in days later. David Jones had this Clinique GWP last month and I went into a store on my lunch break knowing that I wanted to get the make up removing balm, but I ended up talking myself out of it. Days later I went back as I knew I needed to buy a cleansing oil/balm very soon anyway, so I might as well pick up the GWP now. I also picked up their City Block Sheer sunscreen. I have finished my beloved Pevonia sunscreen, so I picked this up to qualify for the GWP. I really like it, but it doesn't compare to the awesomeness that's my Pevonia sunscreen! 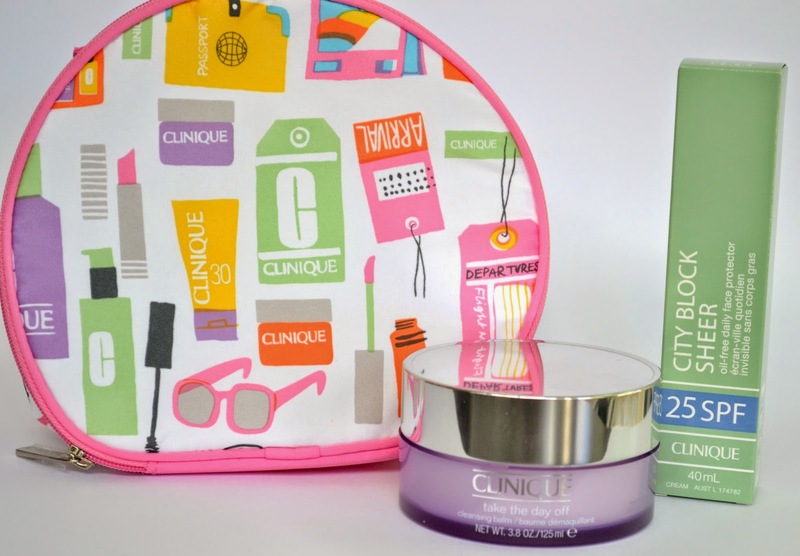 I really love Clinique's GWPs. They do a great mixture of skincare and make up. There's 4 skincare items and 3 make up products in this bag. And that's my May collective haul. WOW it's quite shocking how much I've picked up without really realising. Picking up a lipstick or 3 on your lunch break really adds up at the end of the week! Did you do a lot of damage in May? Nice haul Amy - but I know exactly what you mean, a few things here at the supermarkets, an item or two when you pick up medication at ChemistWarehouse, and a trip or two through Myer and Djs, and before you know it, you've got a nice haul. Hate to think how much I got during May as I was at the shopping centre a lot finding family birthday presents and seemed to come home with something for me every trip too...ups! Awesome haul! 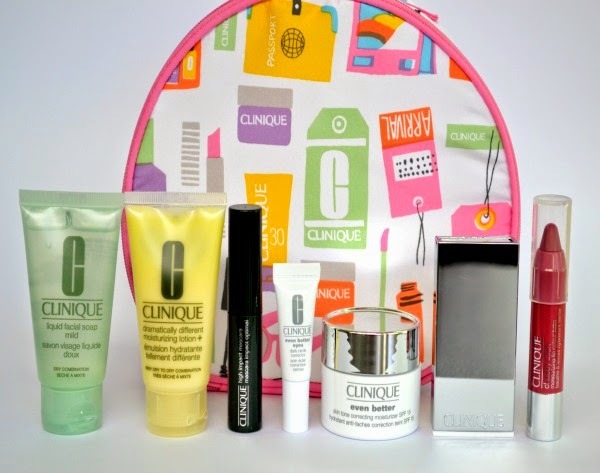 The Clinique GWP bag is adorable! The Antipodes deal seemed really great, sad that I didn't get to take advantage of it. Can't wait to read some full reviews! I almost bought that Manuka Doctor lip cream last week. I'll be interested to hear what you think of it. Awesome haul, you have got some great hauls, too bad I missed Antipodes, I haven't tried anything from them ..
Great haul! :) The Mecca lip balm is expensive but given that you want to repurchase it, I imagine it must be really good? I'm loving the look of those Ulta3 lippies! I'm very jelly of your haul! :) Have a great weekend ahead!